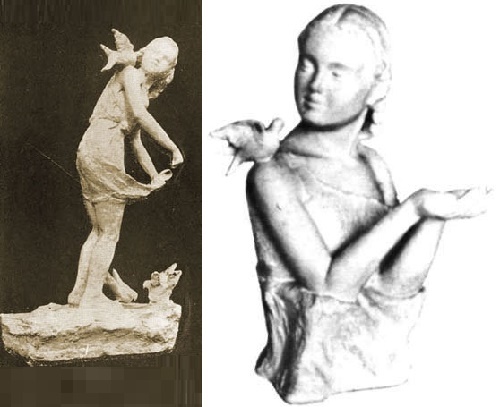 Blind Sculptor Ballerina Lina Po proves the fact – talented people are talented in everything. It is difficult to understand how the blind could convey not only external similarity, but also the character and mood. It is like a miracle. Lina had the rare gift of “inner vision”, or, as engineers, spatial imagination, brought to a high degree of perfection. Deprived of view, she “saw” things in her imagination vivid and three-dimensional, as in the bulk film. Sometimes, with touch caught the details and subtleties unnoticed by sighted sculptors – professionals. In this hard to believe. But it was so. 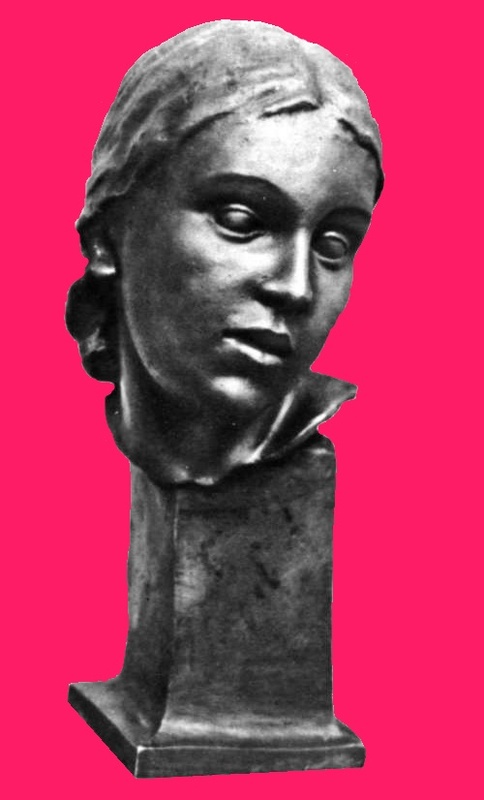 Polina Mikhailovna Gorenshtein (January 18, 1899 – November 26, 1948), known as Lina Po, was born in Yekaterinoslav of Russian Empire in the last year of the nineteenth century. 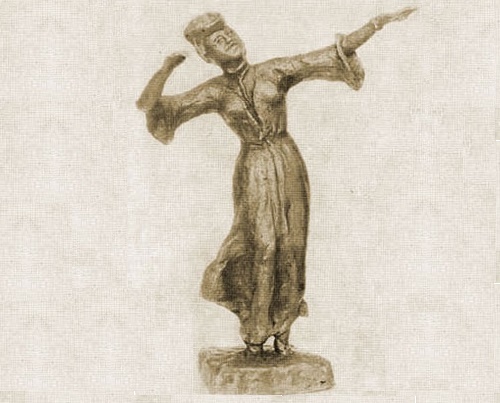 She was fond of music and dancing, wrote poems, painted and sculpted. She was talented in many things, but chose ballet as her career. 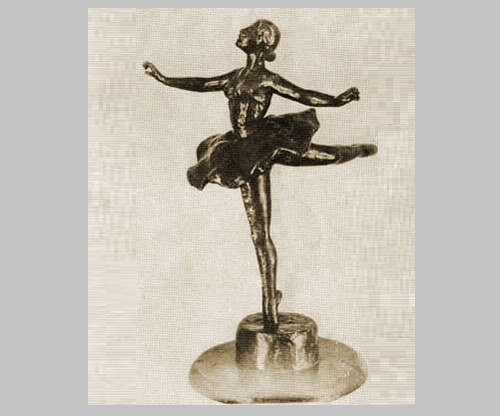 Since 1921, young ballerina Lina Po lives in Moscow, performing in ballets, and her choreography is warmly welcomed by the audience. She often takes a pencil to capture an interesting movement, pose, or rotation. Every day is filled with music and dancing. But in 1934, disaster struck. Lina became seriously ill: paralysis of the arms and legs, loss of vision. Lina Po spent two years in the hospital. She managed to recover, and the ability to move returned, but there was a tragic mark – total blindness. 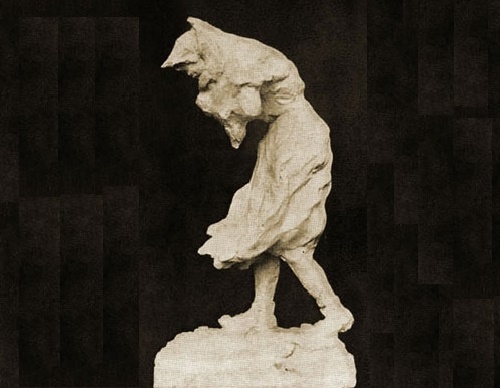 After leaving the hospital, she shows her first, even imperfect figurines to the prominent artist Mikhail Nesterov. Infinitely demanding in everything that concerns art, Mikhail endorses her work. After meeting with him Lina Po has not decided anything for herself. It was hard for her to believe that she regained her place in life. Thus begins her selfless way in art, which lasted 12 years, until her death. She has created a lot of dancers sculptures – “Dance of the Veils”, “Pirouette”, and complex compositions “Gopak”, “Oriental Suite”. They attract with the accuracy, lyricism and spirituality, a sense of celebration. 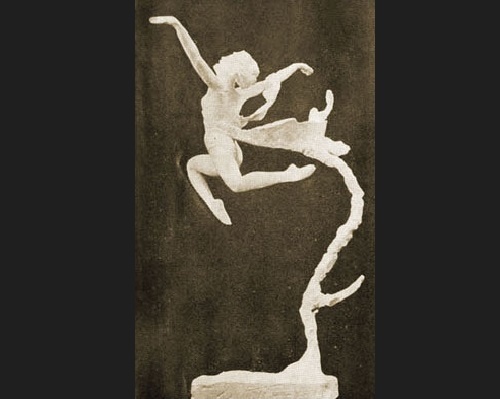 Amazing in its emotional impact – the statuette “Jump.” A woman prepares to jump. Another moment – and she will fly. Her movement – overcoming pride, the pursuit of happiness – the very traits of Lina. 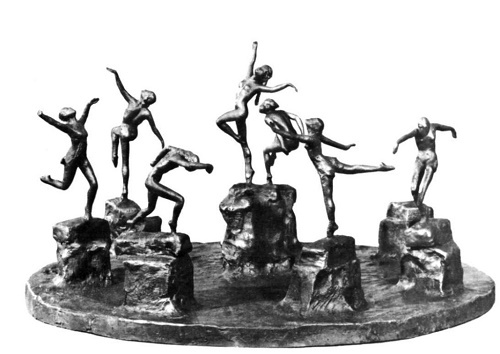 Critics include “jump” to the best works of modern sculpture of small forms. 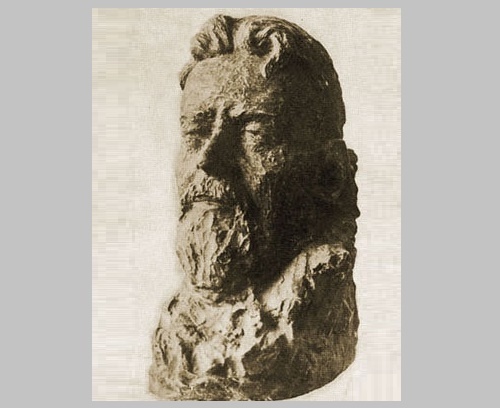 Now the sculpture is located in the Tretyakov Gallery. 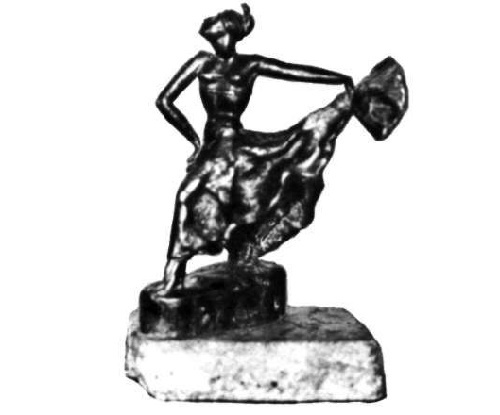 Dance theme is main, but not only in the works of Lina Po. 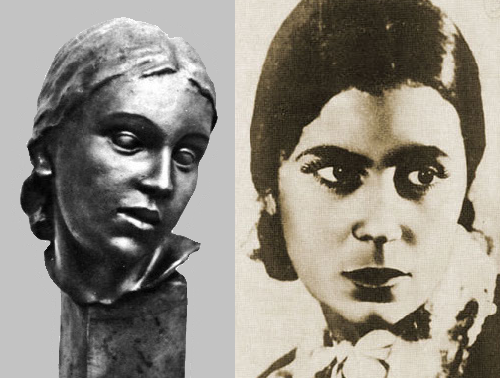 In the prewar period, she works a lot on the image of the working people, creates sculptures of contemporaries: “Farmer Girl Galya”, “Parachutist”, “Young naturalist Natasha K.” In those same years, she molded the two self-portraits – what she was in her youth. She is excited with the image of Pushkin on his last tragic days of life. For several years Lina Po is preparing for this work. 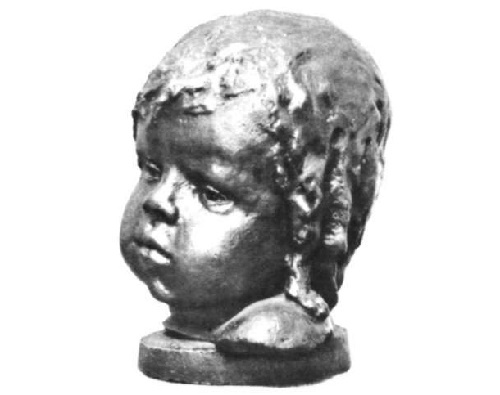 And in 1940, a sculptural portrait is ready. 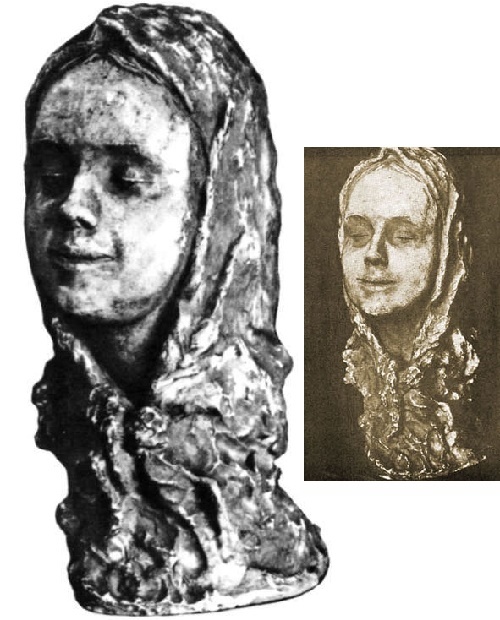 The bust is small, slightly less than the height of half a meter. The face is framed by thick, short hair and sideburns. Sharply delineated eyebrows, tightly compressed lips, extended chin give to the poet emotion and tension. 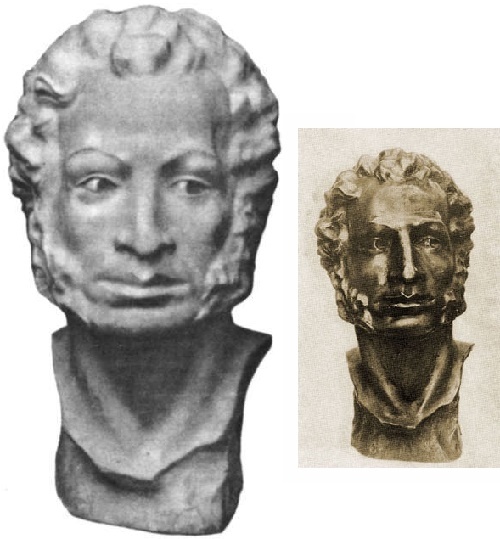 The bust is in Leningrad, in the apartment-museum of Alexander Pushkin on Moika. 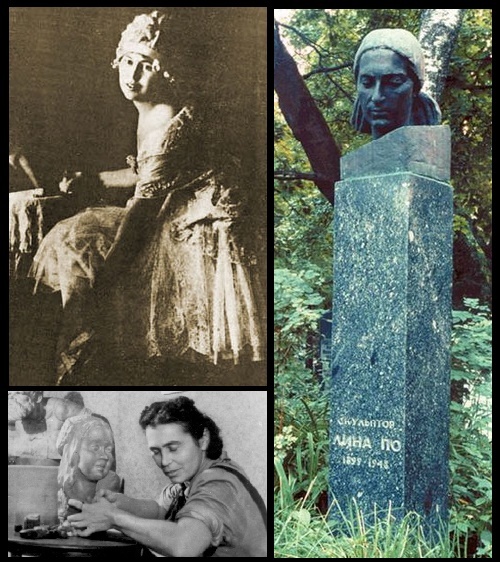 During the Great Patriotic War (1941-1945) Lina Po lives in Ufa, weaves camouflage nets for tanks, sculpts figures of Bashkir women. All thoughts are occupied by the war. Blind woman sculptor was difficult to convey the “grammar of combat, batteries language.” And maybe that’s why accuracy and agility of her sculptures of wartime are so amazing: “Young sniper”, “Partizan”, “without shelter”, “The native ashes.” The most significant work of this period – “Woman with Tag” (“In the fascist captivity”). The woman has gone through all the terrible things that brought the war: the loss, hunger, captivity, torture. But she is not broken, does not give up. 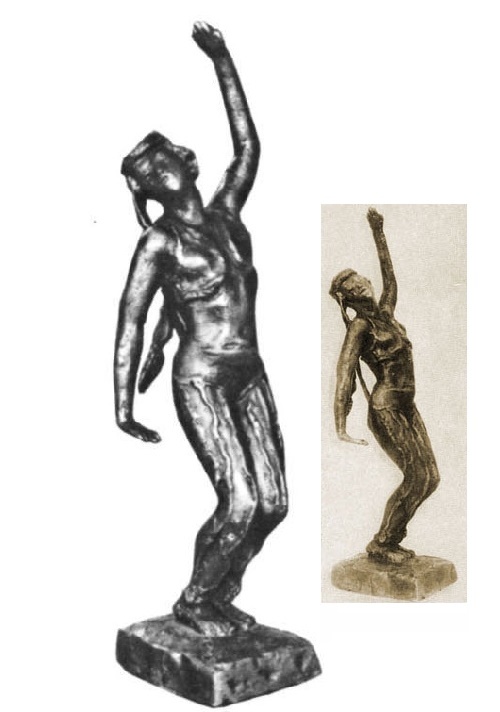 In 1945, after the victory, the artist creates a remarkable expressive “Song of jubilation.” Classically austere figure of a woman with the flag symbolizes happiness and aspirations for the future. Lina Po died in 1948. But her art still brings joy to people. Her thirst for creativity, the desire to be desired, unbroken by serious illness, still inspire for the struggle for a decent life.